The Last Sigil is a 2D roguelike hack & slash game inspired by Diablo and Rogue Legacy. 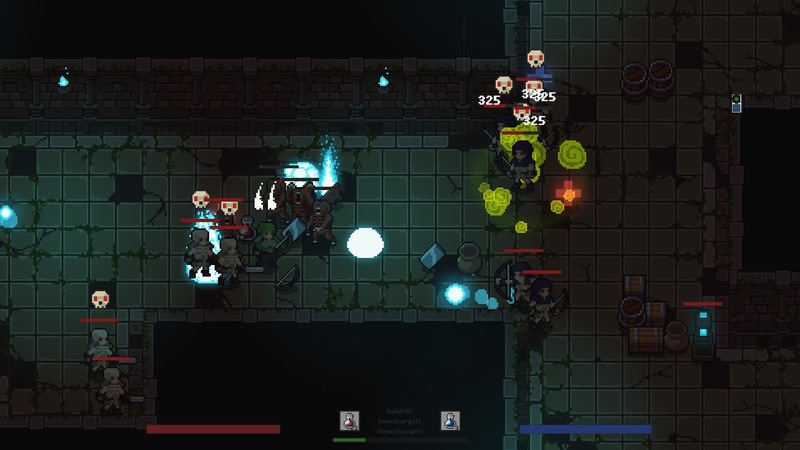 You can create a guild, hire randomly generated characters with different traits, stats and skills to fight hordes of enemies in procedural generated dungeons. Hunt for rare loot, trade and gamble with merchants or craft your own items. You can also customize your guild through upgrades, earn fame, hire new members and become more powerful. Procedurally generated dungeons with different enemies, traps and bosses. Three difficulties, normal, hard and very hard. Randomly generated characters with different traits, statistics and skills and the possibility to rename them as you like. Five classes (mage, necromancer, paladin, ranger and warrior), each one with six different abilities plus a quick movement skill and an active block to mitigate damage. 50 levels, stats points to distribute between power, energy and vitality and upgrade points to spend in passive skills. Items of different qualities, normal, magic, rare and epic, plus an enchanting scroll to boost the bonuses of your best items even further and artifacts with special effects. Pets to bring with you and fight along your side. The game is developed using Unity game engine and is currently on Steam Greenlight. Upvote it if you like to see it on Steam. Expected release date is Summer, 2017.